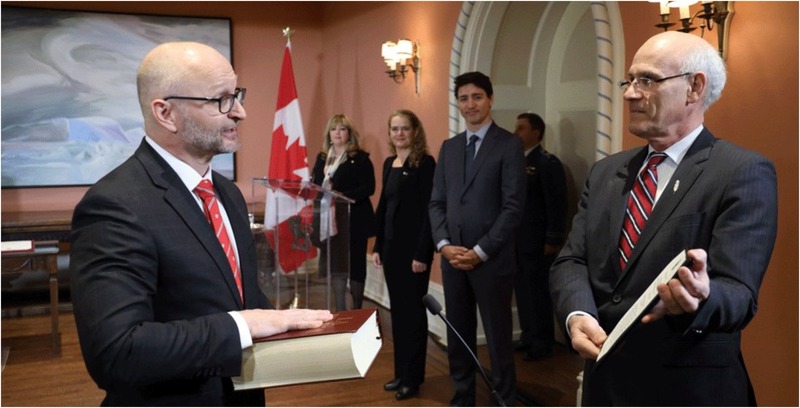 Newly minted Justice Minister David Lametti said political factors will be looked when making the final decision to extradite Huawei’s CFO Meng Wanzhou to the U.S.
During a sit-down interview with The Toronto Star, Lametti said he didn’t know why Prime Minister Justin Trudeau picked him for the role but noted that as a cabinet minister there is a political role to play when making decisions. Canadian authorities arrested Meng in Vancouver last December on fraud-related charges. She is also the daughter of Huawei president and founder Ren Zhengfei. The U.S. laid 13 charges of bank and wire fraud against Meng, Huawei and its subsidiary Skycom. She currently faces extradition to the U.S.
Lametti was appointed the Justice Minister about three weeks ago and replaced Jody Wilson-Raybould, who was shifted over to become the new Veterans Affairs Minister. At the time of Meng’s arrest, Canada said it was a country that follows the rule of law and an independent judiciary, and that Meng had to comply with a judicial proceeding before she could be released. During the Star’s interview, Lametti noted his concern for the Canadians that have been held captive as a result of Meng’s arrest and added that their release could depend on the final decision on Meng. “Canada has a matter of a political decision, created what I think is an excellent process, which is to say a section in the government will treat this [Meng] case neutrally as it runs through the courts, and the minister of justice will not have any say in the matter. “Nor will any other political actor, and that is what we have done,” Lametti said. According to extradition law in Canada, a minister is allowed to take political factors into account like good international relations or legal cooperation. A minister could refuse extradition if they believe the case is politicized, or if the person is being tried for political crimes that include espionage. At the moment, Lametti didn’t comment on the charges the U.S. laid on Huawei with respect to stealing technology from U.S. telecom company T-Mobile, noting that he didn’t have the evidence, nor has he read the specific details. It’s worth noting that before Lametti became a minister, he did several interviews regarding the need for deeper ties with China and the importance of a Free Trade Agreement with the country. The Quebec MP was first elected in 2015 and was the Parliamentary Secretary to the International Trade Minister from 2015 to 2017 before being appointed the Parliamentary Secretary to Innovation, Science and Economic Minister Navdeep Bains. Canada has not banned Huawei yet, but it should be noted that the government is currently conducting two reviews, one on Huawei and national security, and the other focused on 5G technology in Canada.